Motherhood is one of the biggest and most wonderful gift of nature to women. But in modern economy when women are increasingly joining the workforce, it has taken a backstage and has become only one aspect of a multifaceted lifestyle of a modern woman. Even after the advance of modern medicine, women still have to take considerable time off from work to fulfil their motherhood duties. So in such a situation, the question arises, who should pay for the cost of motherhood or pregnancy to be precise. 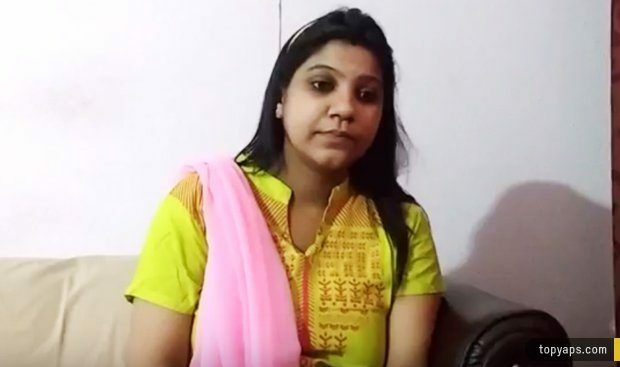 There is a story doing rounds on media where a girl was fired from her job when she asked for leave on medical ground over and above the maternity leave that she had planned, due to complications during her pregnancy. It is a delicate issue and many people will react emotionally without looking at the whole picture. It is expected reaction as traditional Indians still associate high value with motherhood, although it is increasingly disparaged as a worthless exercise by the liberals. It is a very broad topic of discussion and has very profound impact on future of the nation, so it is essential to distil down the case to who benefits from new child. Only when we know who is the ultimate beneficiary, we can decide who should bear the cost of pregnancy. The decision to have a child is a private decision. Given how parents these days plan the time and number of children they want to have, it is almost a no brainer to associate this decision with their parents. Since couples decide to have/not have a child, it means they are the sole beneficiaries from this decision (at least when they make the decision). Although a nation benefits from having a young population, but most couples do not take it into account when taking this decision. Since, they hardly think of the nation/society during this decision making, we will ignore this issue till the end before we briefly touch on the ramifications. So, if a decision accrues private benefits, who should pay the cost? It is very simple if the case were made for buying a sports car. One does not ask his/her employer to gift them a sports car, if he/she likes the car. Also, the employer gains no benefit by his employee having a sports car (happy employee working hard is a side benefit, but there is no direct relation). Similarly, the couples usually do not ask their employers if and when they can have a child nor does the employers gain any private benefit from their employees having children. This implies that the decision to have a child is a private decision and parents should take this into account before going forward with it. If this requires woman to be out of work for a long and significant amount of time, it is not the duty of the firm to pay for her maternity leave while she does not work for the firm. There are two intertwined issues at play here, which are often ignored. Firstly, small firms do not have enough working capital and often scrape through with their daily payments. Increased cost of an unproductive employee (if a pregnant woman takes maternity leave for 3 months) makes it difficult for many firms to survive. Also, it is morally wrong to expect the firm to pay for a private decision of its employee. Of course, if the firm is happy to pay for the pregnancy of its female employees, it should do it but it cannot/should not be enforced by the state. Secondly, if the state decides to enforce compulsory maternity leave with benefits, it leads to the next problem which is discrimination. If a small firm knows that its female employee will become pregnant and thus become unproductive for the firm in the future and it cannot fire her, the firm will just stop hiring young females. So the idea to correct one problem will lead to another problem. Since the Indian economy still depends significantly on the contribution of small and marginal firms, transferring the cost of private decision of having a child on the firm will have very bad consequences for the growth of new and young firms. But this also opens the questions of discrimination in social policy. What about women who do not work and are stay at home mothers? Or women who work in contractual or small jobs, where firms are not forced to pay for maternity leave? The last set of women will not get the benefit of transferring the cost of their private decisions on any one else. So from a fairness perspective, why should a small section of middle class women get subsidized by private firms for getting pregnant, while the poorer women (also more vulnerable and needy) who work in unorganized sector or don’t work at all, do not get any benefits? So who should bear the cost of having children? The cost of bearing children has been borne by the family throughout history and that is how it should be. The parents bear the future cost of bringing up their children, so why should it be different during the pregnancy period? Of course, firms can allow women to rejoin the workforce once they have fulfilled their maternal duties, but it is unfair to expect them to foot the bill for private decisions of individuals. But it is daylight robbery if state relinquishes its duty and passes on the tax to firms for its moral obligations. This bring us to the last point in this debate. While individuals and parents usually ignore the public benefits of having children, the state can very well understand such benefits. Not only young generation keeps a healthy demographic and contributes to future tax payers, but new people also contribute new ideas. Parents might not always recognize this value but a nation values future citizens. This is the reason that although feminists lambast motherhood in the west but their governments still try to subsidize maternity. Some countries like France which pay high maternity benefits have been able to maintain decent demography despite their young women increasingly trying to opt out of motherhood. But India is not a rich country and can hardly afford the cost of such benefits when it cannot even feed everyone. So, what is the way forward? India should inculcate the value of family system in its citizens and shut down the propaganda against big population as most Indian states are already below the replacement level of fertility i.e. 2.1 kids/woman. Putting emphasis on family system will allow women to take help not only from their husbands but also extended family during times of maternity, thus decreasing the economic and emotional pressure. On top government should decrease cost of raising children by spending money on building healthcare infrastructure and repealing laws like RTE which have increased cost of education, thus increasing the cost of having children. But before that the government should stop burdening young firms which are the growth engine of the economy and are needed for generating future jobs and income.